Because Of Grácia will have its Canadian premiere in Saskatoon on April 19-21, 2018. Come to the Roxy Theatre to view a faith-friendly family movie that all ages can relate to. Tickets available at McNally Robinson, Kennedy’s Parable or before shows at the theatre. 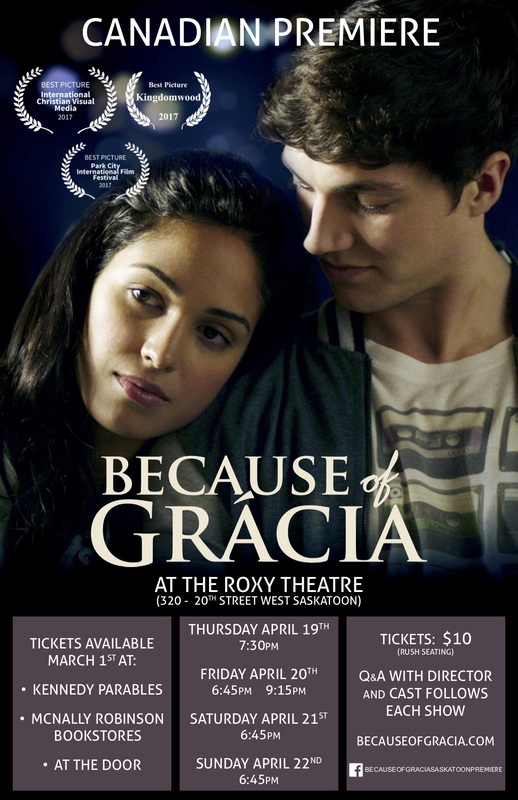 Our Because Of Grácia Saskatoon Premiere Facebook page has more information or contact Michelle.